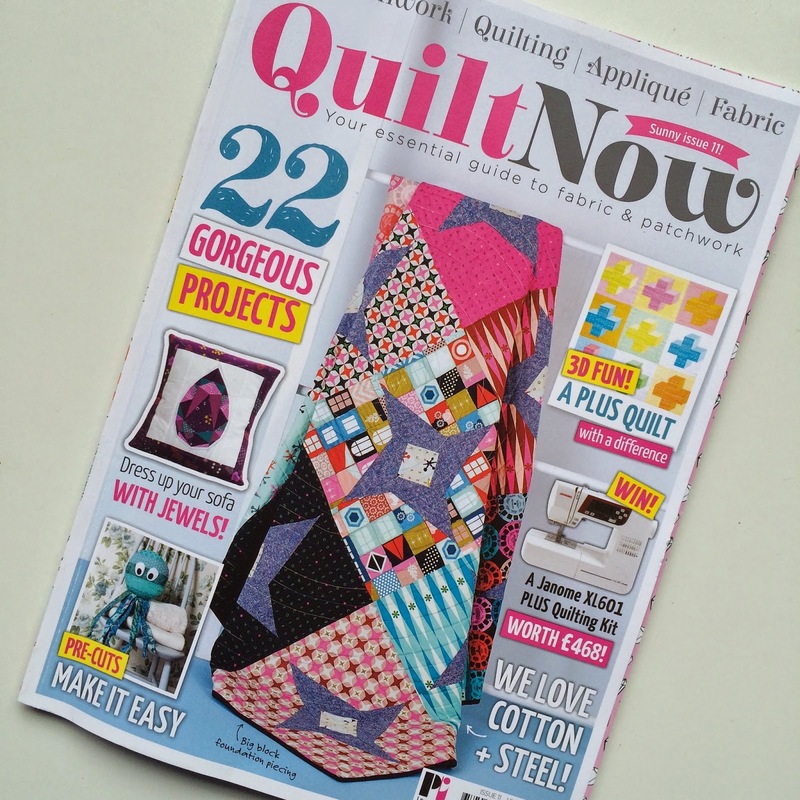 This week on Instagram my special favourite was the front cover of Quilt Now by Sonia of Fabric And Flowers - a well deserved and fabulous front cover quilt. My four other faves from this issue are by Karen Lewis of Karen Lewis Textiles, Sharon McConnell of Color Girl Quilts, Janet Goddard and Elisabeth from Sharks Dinner / Lemonshark. Meanwhile I've been sewing with the beautiful upcoming line Morning Song by Elizabeth Olwen for Cloud9 Fabrics but currently only have this much so show you. HSTs and binding! Dashwood Studio very kindly sent me copies of two photos they'd taken of two quilts I made for them recently, using their Cuckoo's Calling and Suffolk Garden lines. Both of these appeared in recent issues of Love Patchwork & Quilting magazine in case you're interested in making either. And finally I've been working on the second month's mini quilt for the Sew Hot mini quilt club using 60's Scrapbag by Emma Jean Jansen for Ella Blue Fabrics. I love Karen's 3D Plus quilt, just makes me want to make it. Your Minis are really pretty. SO many amazing projects you're making -- I love it!! !